First of all, we are safe and Rhapsody is safe, we are well south of the dangers of Hurricanes Irma and Jose. But we are sad. 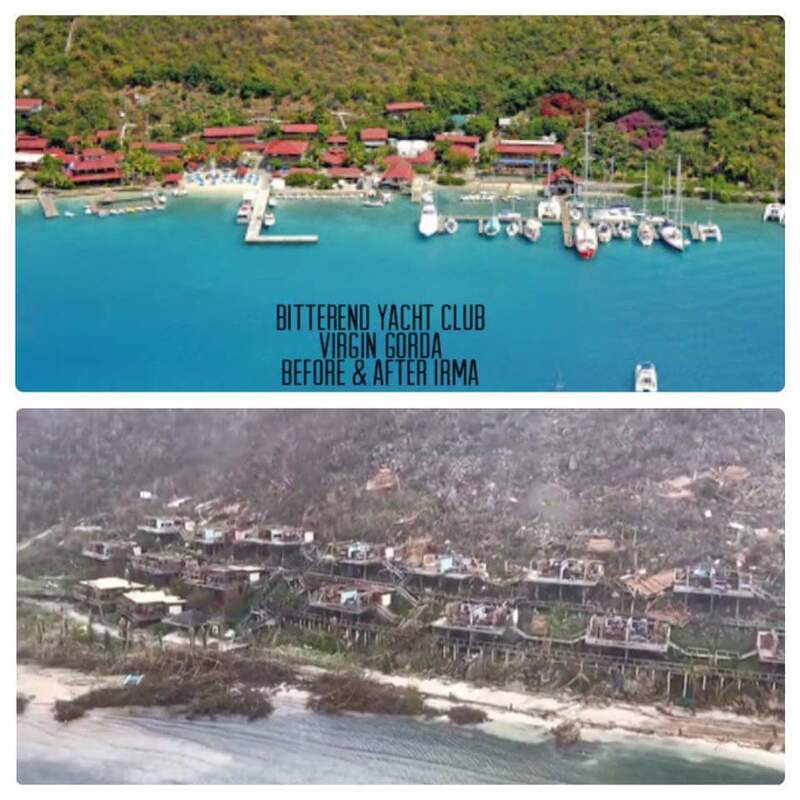 Watching the devastation in the islands north of us. Islands that we know well. Islands that we have friends in, or islands that our friends have boats in. We have heard from or about most of them, they are safe,and their boats are safe, but we have a few friends that are still waiting on the news of their boats, their homes. And now Irma is headed north, towards more family and friends. Sadness and worry. We have been watching closely. Looking at the pictures of the destruction and the aftermath. People searching for relatives and friends. People sending out reports, pictures and videos. We watch with a mixture of horror and sadness, and relief as friends check in. 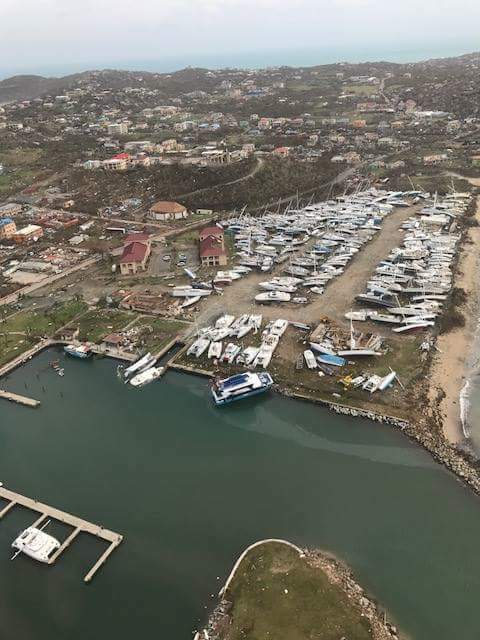 St. Martin was hit very hard and yet we hear reports of a friend and his boat both making it through safely. Other friends have lost their boats there. 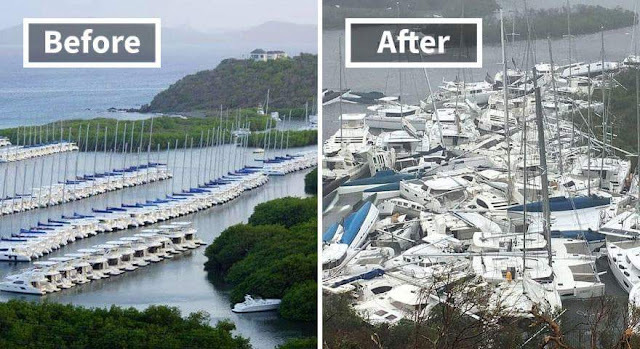 This is Virgin Gorda Yacht Harbor in the BVI. Rhapsody's home for 2 summers. We have friends who have a boat there currently. Waiting to hear the damage report. Closest to our hearts is the BVI. Since we have owned Rhapsody she spent three hurricane seasons there. We watch for information for places we know well, and for the people we know there. We are so fortunate to have been mobile, to have the ability to sail away from the dangers. Others are not so fortunate, and had Irma occurred even one year earlier we might not have had the same freedom to sail Rhapsody to safer waters. This is Nanny Cay, Rhapsody's home last summer. It is a little hard to tell the level of damage from this picture. Note a angle of the boats on the land, and the tangle of boats at the right hand side of the upper bay. We spent quite a bit of time here last January waiting for a weather window to sail to St. Martin. Boats on the hard, tied down for protection. Sometimes the wind is just too strong. This is one of the first pictures that came out. 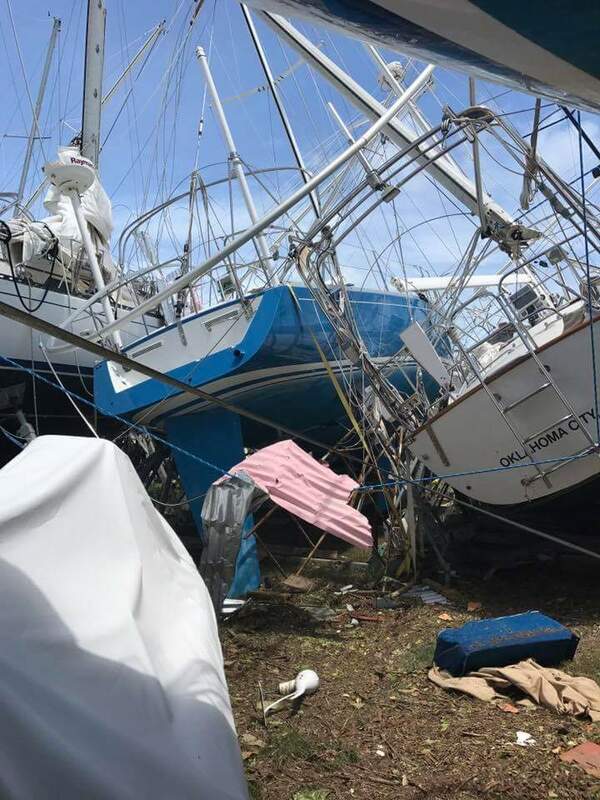 These are charter boats all carefully rafted together in the hurricane hole for protection. This came from the Trinidad and Tobago weather page. 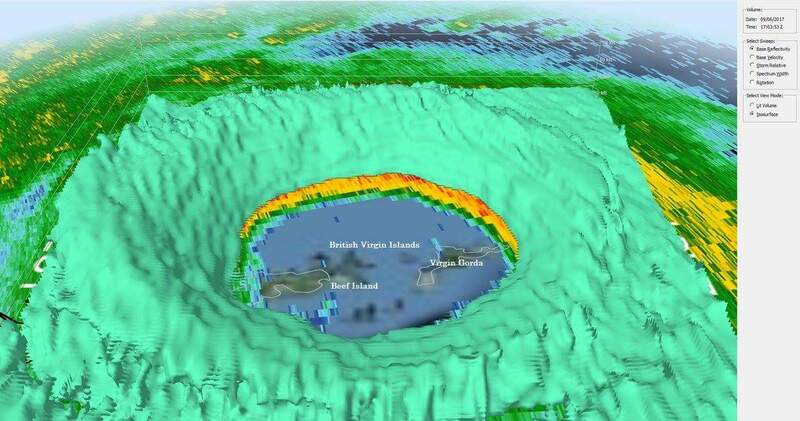 It is a 3D image of the wind speeds. What struck me about this was the size of the hole in the middle. What now? There are many different funds being set up, most of them are legitimate, but how do you know? I have chosen to contribute to a fund is set up by a one of the first bloggers I followed when starting to dream of this life. 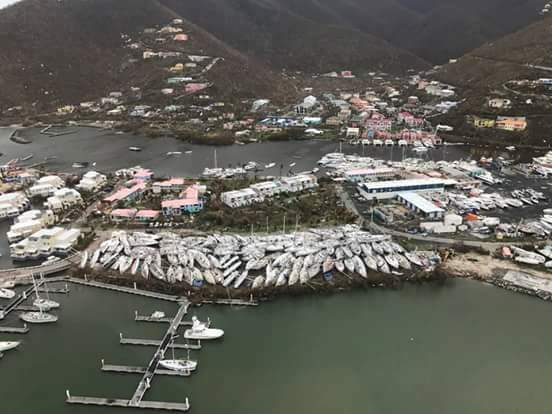 Brittany and Scott of Windtraveler, click here to contribute, are currently in Puerto Rico buying supplies to bring back even though the fate of their boat is still unknown. As for us, we had planned to return to the area in November and have friends and family join us next year. We still plan to return, but it will be to a very different place. We will be seeking out ways to help when we get closer, and I hope that those of you who were planning to come visit us will still come. It will take time for these places to recover, but they will. The hope is that they come back strong. We send our positive thoughts to all affected. Breathe deep. Things will work out.